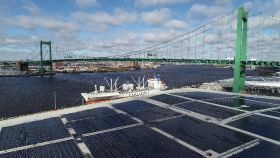 The first pallets of Moroccan citrus product landed in Gloucester City, New Jersey on Friday under a new shipping partnership serving the US. 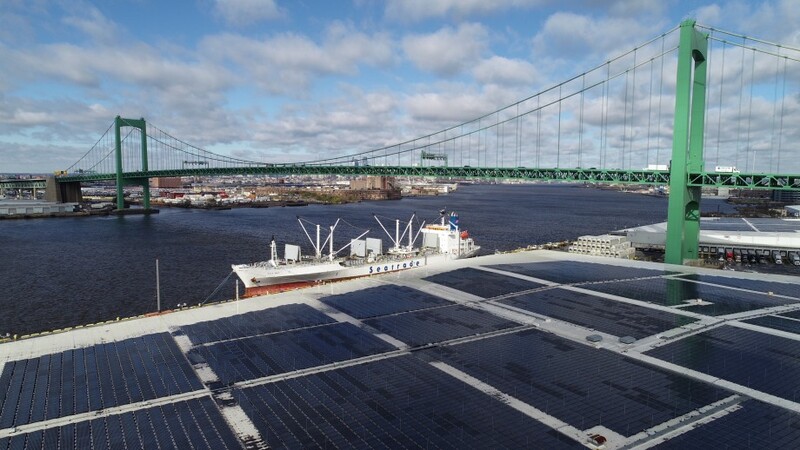 The M/V Fuji Bay, operated by Seatrade, docked at the Gloucester Marine Terminal in Gloucester City, NJ, and began to unload a variety of citrus destined for grocery stores in the US and Canada. “It is our distinct pleasure to welcome our new shipping partners in Maroc Fruit Board to Gloucester,” said Leo Holt, president and CEO of Holt Logistics which operates Gloucester Terminals. “A diversified supply chain means more competitive prices for our customers, and we are excited to bring seasonal Moroccan citrus products to the US and Canadian markets. The vessel left the port of Agadir, Morocco on 5 November and began its 10-day journey to the Gloucester Marine Terminal. The ship is carrying product from the Maroc Fruit Board, a group of Moroccan growers and exporters that export approximately 300,000 tonnes of citrus and vegetables per year. This particular shipment contained over 4,000 pallets of tangerines, clementines, lemons and mandarins, of which approximately 75 per cent is destined for Canadian supermarkets and the rest bound for US receivers. The service will continue with bi-weekly calls at Gloucester Terminals until April 2019, the end of the Moroccan citrus growing season.